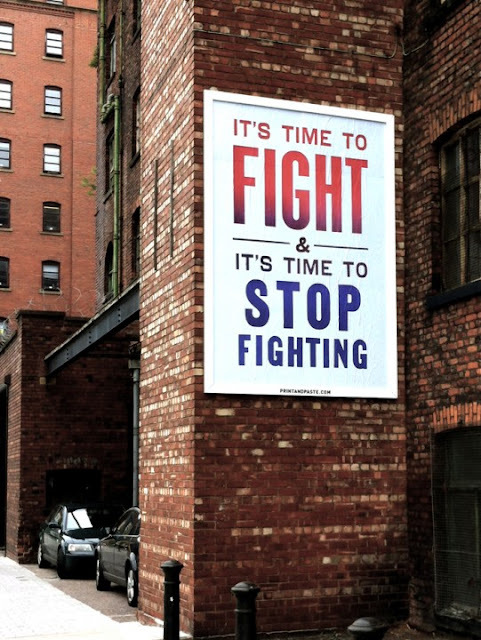 This AS IS street art in Logan Square, Chicago, struck me as kinda Zen high above a crappy McDonald's. 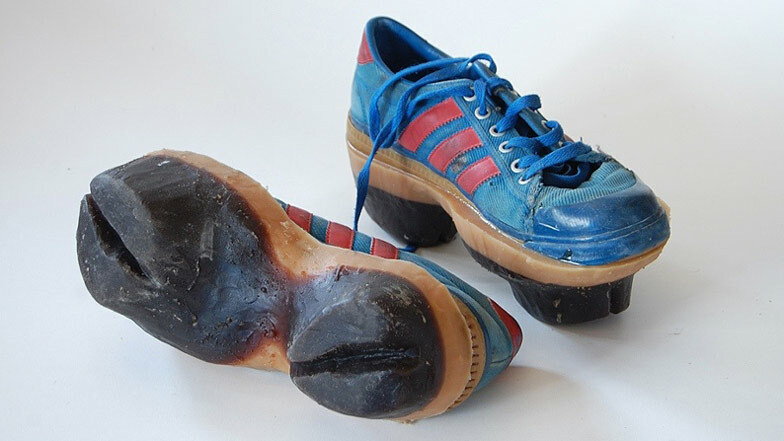 By Maskull Lasserre via Dezeen. 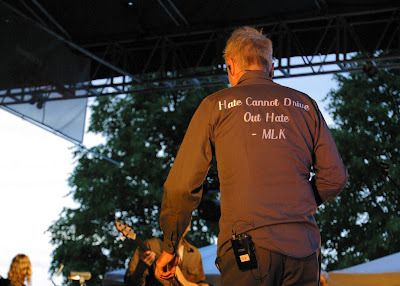 David Byrne's MLK Shirt: "Hate Cannot Drive Out Hate"
With the 10th Rock the Garden happening on Saturday, I've been digging into the Walker's archives for old photos (for this piece). 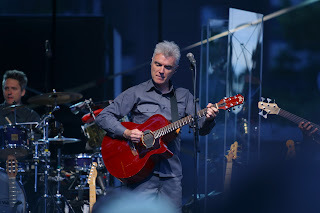 I was there in 2004 when David Bryne and the Tosca Strings played the Minneapolis event, but I guess I was too far back to see what was embroidered on the back of his shirt. But my Walker colleagues Gene Pittman and Cameron Wittig were there. On May 31, artist David Shrigley tweeted that his gallery, Stephen Friedman, had vetoed the inclusion of a painting at Basel "for fear of offending Americans." Featuring an image of Osama bin Laden, it included the words, "He believed that he was doing the right thing." 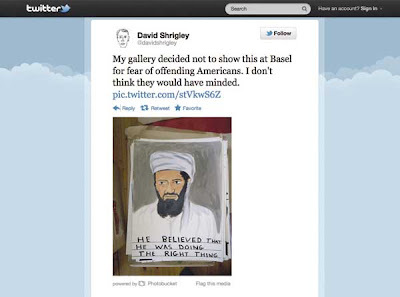 While Shrigley noted that he didn't "think they would've minded," the tweet appears to have been deleted from Twitter, although a link to it is still on the artist's Facebook page.